IT HAS BEEN many years since the acronym CJD has been part of Ireland’s daily vocabulary but it has returned to our radars this week as Beaumont Hospital examines a new case. The HSE fears that up to 20 others could be at risk as a result of a surgery on a patient prior to his diagnosis. When a new form of Creutzfeldt-Jakob disease was discovered in 1996, it became synonymous with the BSE crisis as it was a human variant of so-called ‘mad cow disease’. However, the more classical strain of CJD had been identified as early as 1920, long before recent outbreaks of BSE. CJD is a rare illness, part of a group of diseases called prion diseases (or transmissible spongiform encephalopathies) which affect both humans and animals. They are so-named because they are associated with an alteration in the prion protein, a naturally occurring substance in brain tissue. Prions are infectious particles made of abnormally-folded protein that kill brain cells and make holes in the brain, causing it to become more sponge-like. In some respects, a prion is similar to a virus as it can replicate and cause disease. But unlike a virus, it is made entirely from protein and has no genetic material, making it much tougher than a virus or bacteria. Prions can survive extremes of heat and radiation and are resistant to being broken down by enzymes, which normally control the body’s protein levels. Antibiotic and antiviral medicines have no effect on them. CJD exists in four different forms, all of which are progressive, untreatable and ultimately fatal. 2. 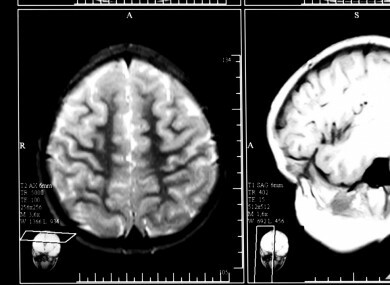 Variant CJD (vCJD) was first identified in 1996. It mainly affects people in their twenties. The number of cases in the UK peaked in 2000 and is now declining. 3. Iatrogenic CJD (iCJD) is where the infection is spread from someone with CJD through medical or surgical treatment. 4. Inherited prion disease (IPD) is a rare form of prion disease caused by inheriting a faulty gene that produces prions. How often has it been diagnosed in Ireland? Sporadic CJD rates of up to two cases per million population are not unusual and the risk increases with age. In Ireland, the annual rate is about one in every one million for those over 50 years of age. Between 2005 and 2011, there were 30 cases of CJD recorded in Ireland. What is the link to BSE? A new form of CJD (variant CJD) linked to bovine spongiform encephalopathy (BSE) in cattle was identified in 1996. Four cases of vCJD in total have been identified in Ireland to date. Following the UK crisis of 1996, researchers concluded that the most likely origin of vCJD was exposure to the BSE agent. Some individuals who have developed vCJD are known to have eaten potentially BSE-infected meat products. There are also inherited forms of human prion disease linked to mutations of the prion protein gene and cases caused by infection via medical or surgical treatments (iatrogenic CJD). Iatrogenic CJD is very rare. CJD is a neurological illness that contaminates the nervous system causing damage to the brain. Initially, an affected person may demonstrate mood swings and memory lapses. Their ability to work will be impaired and they will lose interest in social activities. In some ways, the first symptoms equate to those of mild depression. With the passing of time, patients will become unsteady on their feet, speech will be slurred and vision will deteriorate. Next is jerking limbs, incontinence, tremors and the loss of speech. The condition causes a person to deteriorate rapidly, to the point where they can no longer care for themselves and cannot move or speak. Most people with sporadic CJD die within six months of diagnosis, often from a secondary illness such as pneumonia. People with variant CJD live for an average of just over a year. Email “Explainer: What is Creutzfeldt-Jakob disease?”. Feedback on “Explainer: What is Creutzfeldt-Jakob disease?”.